After graduating with a degree in Pharmacology in 2002, Helen qualified as a RVN in 2005, she then began a six year stint as a locum nurse working nationally and internationally in a variety of settings. She spent five years on BVNA Council. In September 2013 she qualified as a human centred nurse, after two years in intensive care, she moved to the transplant team where she cares for patients post-transplant. She is also part of the organ retrieval team, who are on call to attend hospitals across the UK to facilitate the collection of organs from deceased donors. Helen is really enjoying her change in career, although her passion for veterinary nursing remains. She has developed a strong interest in the idea of sharing medicine, applying concepts used by medical staff to the veterinary profession and vice versa. Her family and friends take delight in asking ‘Is it humans or animals today?’ as she goes to work…. What is it exactly that makes veterinary nurses such strong advocates for their patients, but feeble advocates for their profession? As you read this, veterinary nurses across the country are caring for their patients, ensuring their needs are met. 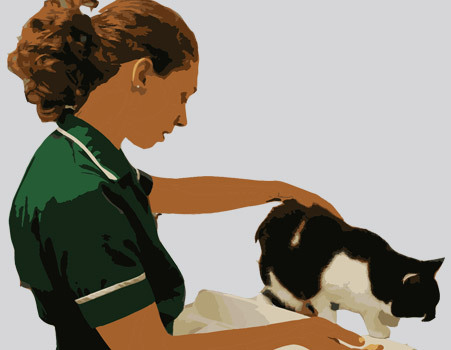 There are veterinary nurses spending their annual leave working with charities, helping to improve the lives of animals facing pain and suffering. There are veterinary nurses setting alarm clocks and disrupting their home life by voluntarily hand rearing litters of puppies or kittens. Veterinary nurses love their job, thrive on the professional satisfaction it gives them and enjoy being the person fighting for, quite literally, the underdog. So why is it hard to get them to talk about themselves and about their profession? Why is it that VNs don’t often come to the table and offer an opinion? If we look back historically, there is a clear background of subservience, of doing what we are told and not questioning the veterinary surgeon when, traditionally, he, told us what to do. Is the profession still suffering a hangover from those days, do we still feel we must take a step back and walk behind the vets? Data from the RCVS Register of Veterinary Nurses in November 2015 tells us that 98% of the profession are female. In her recent book about women in the workplace, Sheryl Sandberg (2013) highlights that women consistently fail to push themselves forward, seldom negotiate their pay and often counteract professional praise by shifting it to someone else, saying ‘it was a team effort’ or ‘I couldn’t have done it without my partner’. Is being a female-dominated profession holding us back? Perhaps it is to do with the average age of the VN. At a young 31, (Williams and Robinson 2014) is it possible that we are still part of a generation grateful to find employment in a job we love? Do we look to our mothers and see that we have choices they didn’t have before? Are we feeling grateful for those choices, honoured to care for our patients and anxious that if we make a fuss it might all disappear? As a relatively young profession, do we have the tools to come to the table and speak? Do we need educating on how the profession is run? On who makes the decisions and how an opinion may be submitted or shared? Are vet nurses aware of what the BVNA and RCVS do and how they can get involved? The RCVS Survey of the Veterinary Nursing Profession (Williams and Robinson 2014) tells us that a fifth of the UK profession have a second job. So, are we simply too busy for politics and discussion? There are clear barriers to engagement and yet, there is a change in the air. In the past, debating sessions have been hosted at BVNA Congress, a forum in which experts were brought together to initiate discussion on various issues. For several years it was poorly attended, there were a few voices, a titter of applause and then the room would empty. Last year, feeling that the time might be right, the session was reintroduced and the debate on small animal nutrition that ensued was energetic, knowledgeable and passionate. It showed that veterinary nurses have started speak, to use their knowledge and expertise to form valid relevant opinions. This year the RCVS announced an increase in the number of candidates standing for its VN Council showing that more members of the profession want to speak out. 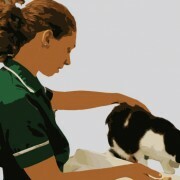 Each year the BVNA sees more and more of the profession work on projects for Veterinary Nursing Awareness Month in May. This means that each year the word spreads among the general public that veterinary nurses are not just ‘a cheaper substitute vet’ or an ‘aspiring vet’ but a professional member of the team with different responsibilities to the veterinary surgeons. There is so much more that can be done, there are so many veterinary nurses who are not standing up, who don’t volunteer, who blend into the background. Winston Churchill once said, ‘history will be kind to me, for I intend to write it’. Now is the time for us to start writing our history and our future. It doesn’t take much. It’s an email, sent to the right person to start a conversation instead of simply posting on an anonymous internet forum. It’s learning what the VN Futures project is about and taking the time to participate. It’s talking to your manager and asking how you can work with them to develop your career and fulfil the needs of the business at the same time. Any of these small steps contribute to the future of our profession. It’s time to get involved, it’s time to get interested, for ourselves and for our patients. For if we don’t speak, then we lose the right to say ‘our profession’. It’s time to stand taller and speak louder, because crucially, there are people listening. Williams M and Robinson D (2014) The survey of the veterinary nurse profession. Institute for Employment Studies. I believe all the above are probably true. There is also still an atmosphere of RVNs being the “lesser” part of the veterinary team, and how often are our requests for more cpd, more responsibility more career development , met with hostility from Veterinary surgeons? Often spouting the tired ” mini-vets” mantra.. I think this makes some very good points and ones we need to really think about to properly address. I attended the RCVS schedule 3 workshop at BSAVA and an idea for “blue sky thinking” was quickly dismissed by some nurses who were there. When we are talking about the lack of career development on one hand and then dismissing ideas on the other, this made me think that we are in danger of holding back our own career development? There are opportunities through VN Futures and the “buzz” around the profession for nurses to step forward more and it would be great to see this happening but as Helen says, are the issues around the average age of an RVN and a the more submissive character the reason this isn’t happening? If it is, what can be done to help address this? 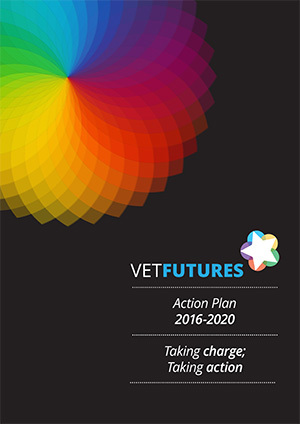 It would be interesting to read others views on this but I suspect, (no offence intended here) that not many RVN’s will be reading a vetfutures blog…. why is this when there is a lot of engagement on other forum sites….. well that’s another question! This is a very interesting debate. I find myself feeling frustrated every year around VN council election time after conducting a quick poll of the VNs at my practice to check who is intending to cast their vote. The lack of engagement in driving the profession forward may be due to a variety of reasons. However I am shocked by the attitude of some very experienced VNs who are sharing their very strong, very negative opinions on our regulatory body via a well-known VN forum. Having trawled through their posts for a while now I still can’t quite see what it is that causes such disengagement and lack of respect for the very people who are trying hard to give our profession a voice and provide great platform for our future.